Create a dining space with style and comfort can be easy if you put your mind to it but even easier if you follow a few simple steps to add in more chicness to your home! Most dining room tables come with chairs already, but if not you can choose your own and add more style and decor to your dining room. If your table already has chairs then you can either swap out the chairs with another table set or keep the chairs as is and decorate with seat pillows. Adding on to the previous tip we’ve given. If you happen to have a few dining table chairs that are worn, rickety or are just not appealing. Try adding a bench along one end in the form of a long bench or a step up as a along the wall bench. This can also save you space in your home as the benches don’t move in and out much. Dining rooms aren’t meant to be bold and daring. Dining rooms are meant for eating at a table surrounded by loved ones, you don’t want to take away those moments by putting too many distractions around. Opt for plain classic colors on the walls and chairs, the table runners and the curtains. Colors like blue or gray. 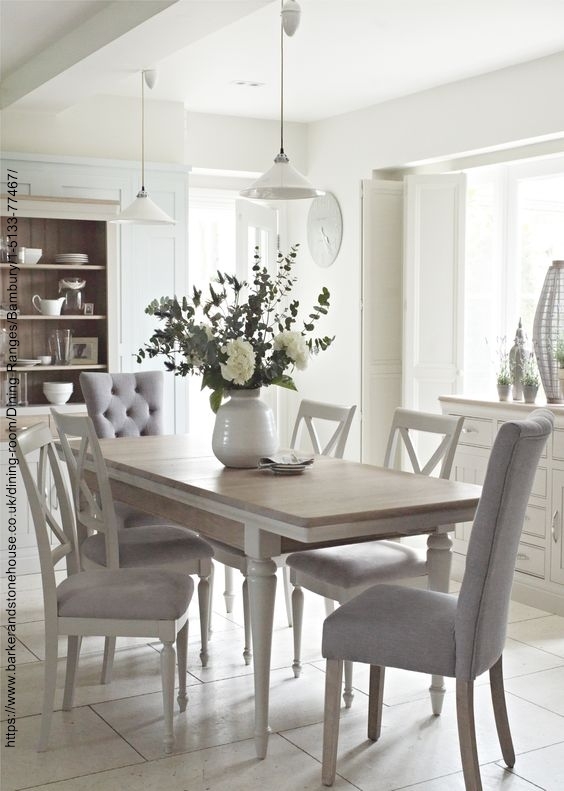 Adding on from natural lighting, when redecorating a dining room, lighting is everything. You want it to be bright enough to see your food and the people around you, but you don’t want to use too much white lighting to where you feel hot and uncomfortable. Choose lighting that makes a statement to add to decor, but is also bright enough to light up the room and create a warm cozy feeling. And that’s it for this post, take everything with a grain of salt. Remember choosing what you are interested in that fits your budget is whats most important. Some tips may not be useful but we sure do hope there was one tip or two that may come in handy!